Many of this year’s episodes marked first-time experiences. Some were as frustrating as they were enjoyable. Others combined outdoor sport with investigative journalism in attempt to unravel forgotten histories. The following originally appeared in the December 31, 2010 edition of the Tooele Transcript Bulletin. ON THE FLANKS of the Stansbury Mountains west of Grantsville stands a common U.S. Forest Service signboard. Wooden and weathered, it marks the end of the 5 mile dirt road from town and the beginning of the 4 mile hiking trail that winds deep into West Canyon. 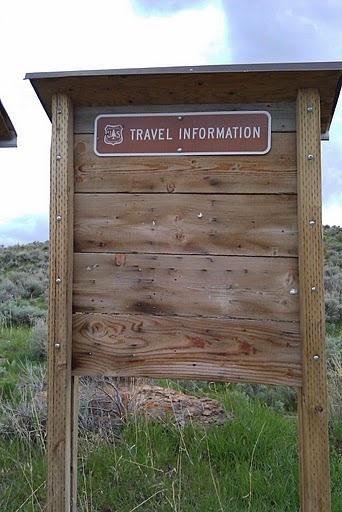 A placard at the top reads “Travel Information.” But ironically, save for a few staple-trapped shreds of bulletins long torn away, the signboard’s face is completely empty. First-timers on West Canyon Trail no doubt bristle at the least informative information board in western Utah. I chuckle, because it illustrates a certain recreational ambiguity in our neck of the desert. Opportunities for outdoor fun here are countless, but despite commendable efforts by the Forest Service and other local agencies, most are poorly documented. The purpose of this column is to highlight the unique experiences our vast back country has to offer. I’m satisfied that 2010 saw a good number of tips, back-stories, and ideas tacked to the proverbial signboard. Many of this year’s episodes marked first-time experiences—like hunting for meteorites and handling live rattlesnakes. Some– like getting skunked by carp in Kanaka Lake or by crawdads in Grantsville Reservoir—were as frustrating as they were enjoyable. Others combined outdoor sport with investigative journalism in attempt to unravel forgotten histories. Of the latter type, my favorite was an investigation of an old airmail beacon in the Oquirrh foothills above Lake Point. The idea for the story was posed to be by a reader from Stansbury Park. A pilot with a thing for historical recon, Brian Staheli often flew over the structure and wondered what it was. 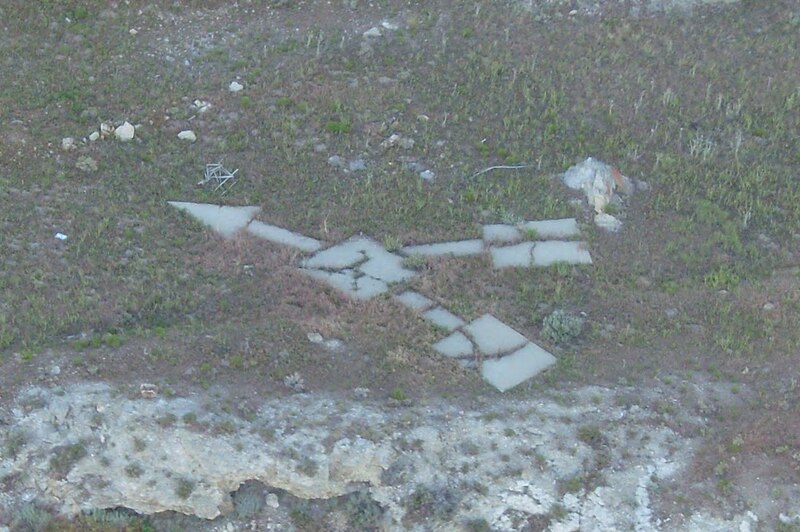 Over the years I’ve come to realize that everything has a story, and this collection of concrete slabs shaped like a double-tailed arrow was no exception. With a little research we identified the structure as Airway Beacon 61A, one of the last surviving remnants of the legendary U.S. Air Mail era. The beacon, we discovered, was constructed circa 1923 and was a key point along two Contract Airmail Routes. With the back-story mostly assembled, it was time for the real fun to begin. A hike to the arrow gave us a close up look, but that wouldn’t cut it for either of us. 61A was built to be viewed from the air, and we’d do the old thing a grave disservice if we didn’t oblige. So Brian borrowed a plane and I grabbed a camera. We took off early and flew low and slow over the Great Salt Lake while we waited for the sun to hit the beacon. After two passes, we realized we would need to fly even closer to get a decent photo. This all-encompassing adventure reached its apex when Brian executed a brain-juggling maneuver called a “slip,” rapidly dropping us to 50 feet above ground level and giving me a square-on view of the arrow. The money shot. Not the best photo in the world, but it was the best I could do given the circumstances. Oh that I could take this full-on approach to every exploit! Alas, exploring a concept from every possible angle is rarely feasible. Fortunately, the simple, impromptu outings are often just as rewarding—especially when they involve the kids. 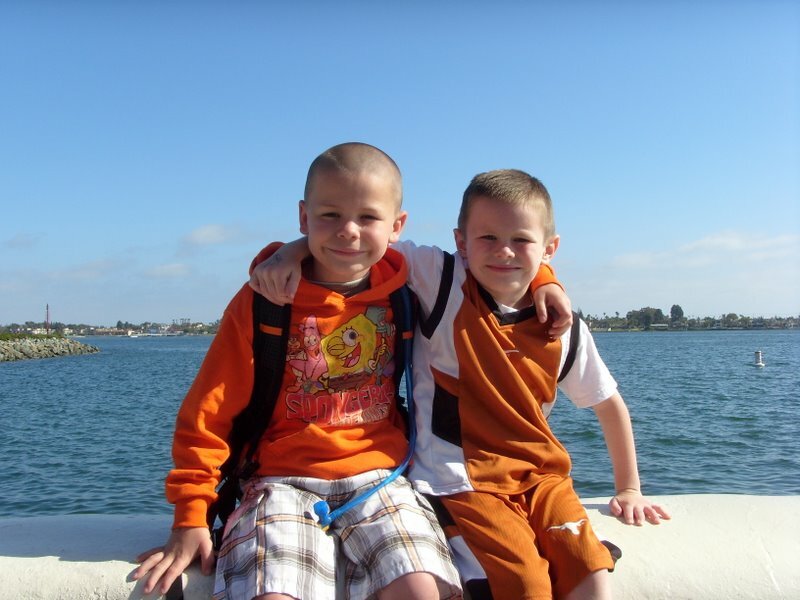 Each of my children has seen their fair share of back country, but my oldest sons Bridger, 9, and Weston, 7, have been my trustiest companions. Of our adventures together in Tooele County this year, 13 made the column. Aside from the comic relief, the boys bring a wide-eyed perspective to every excursion, allowing me to see the rocks and ridges the way I did when I was their age. Nothing brings a smile to my face quite like a fireside conversation with them about space and dinosaurs and the icky girls at school. I may have already earned my dork badge last spring when I set out to master the art of skating in Heelys. As it turns out, those hip shoes with removable wheels aren’t just for the youngins. In fact, any parent willing to risk a little embarrassment can order a pair of adult-sized Heelys and join their kids on a glide through the urban jungle. I wrote about my journey from crash course to semi-success in a March article and have steadily improved since. I have yet to complete my outfit with a skull print hoody, but my wheeled wonder shoes are never too far from reach. The Heelys saga highlights the varied nature of this year’s activities. Looking back on this topical hodgepodge, no distinct patterns emerge, but several themes are woven prominently—though not deliberately—throughout. For example, I’m apparently obsessed with the concept of technology in the outdoors. This isn’t surprising, considering my devotion to both. 2011 will seriously test my ability to balance the convenience of tech against the exhilaration that comes from roughing it. I’ll let you know how that goes. 15 minutes spent gazing at the stars does more for the mind and soul than four hours of yoga. Take weather reports and online trail guides with a few grains of salt, but always trust your gut. Dad was right—that ridge is steeper than it looks from the trail. When old people tell you stories, pay attention. And carry a tape recorder; they might not be around the next time you come calling. Never back away from a rattlesnake that’s close enough to strike. Despite your body’s relentless attempts to convince you otherwise, early morning is the best time to hike. Always pack enough water—and don’t forget the bratwurst. Thanks for reading, and have an adventurous 2011! Hey, what is that shirt you’re wearing in the picture with the heelys? just curious. It’s Hawaiian. The words are Iosepa ku’u home aloha (Iosepa my beloved home).